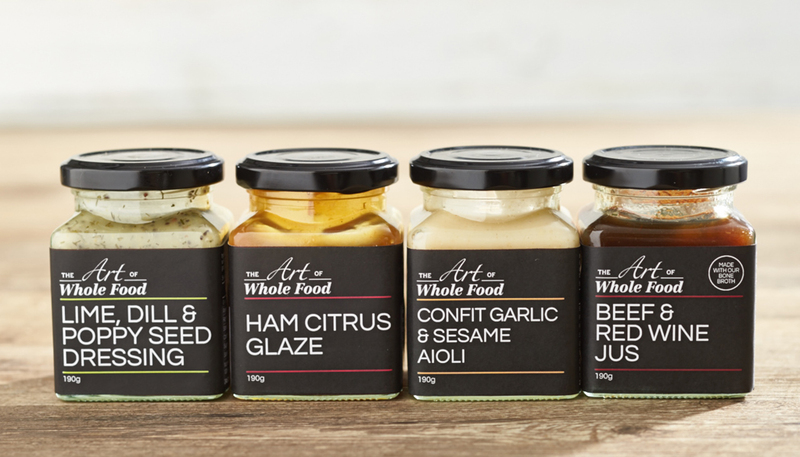 The Art of Wholefood were seeking to extend their range of products in to sauces, jus and dressings. The offering was more premium than the current range of bone broths, so required a different look and image. 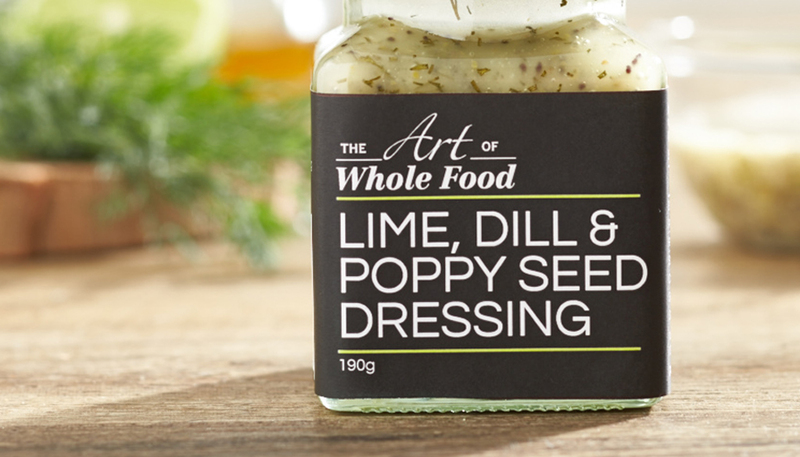 Hopping Mad created a striking typographic label with black and white and colour coding for each flavour. The black label is complimented with a black lid, finishing off the packaging with a strong and bold look.